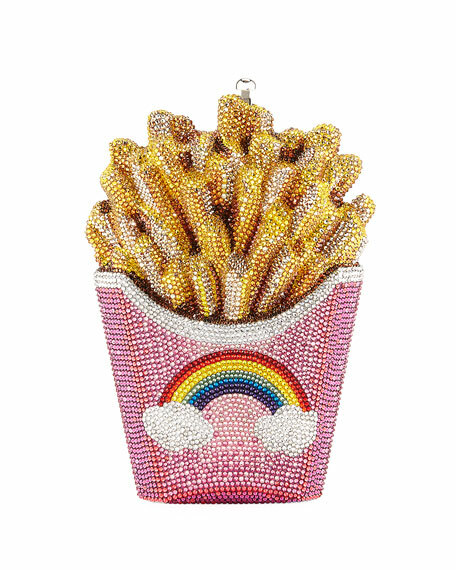 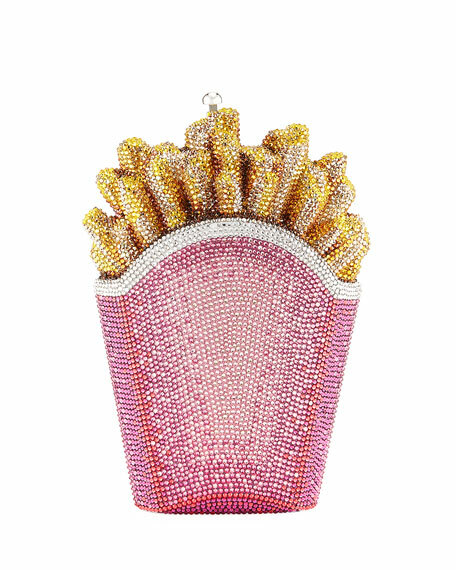 Judith Leiber Couture clutch bag in French fries shape with rainbow at front. 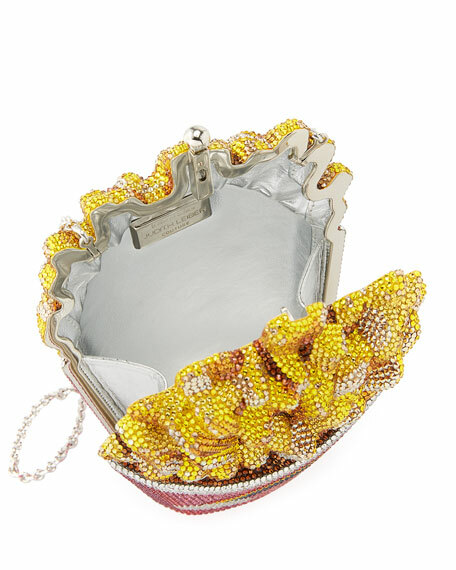 Framed, hard-shell body fully beaded in Austrian crystals. 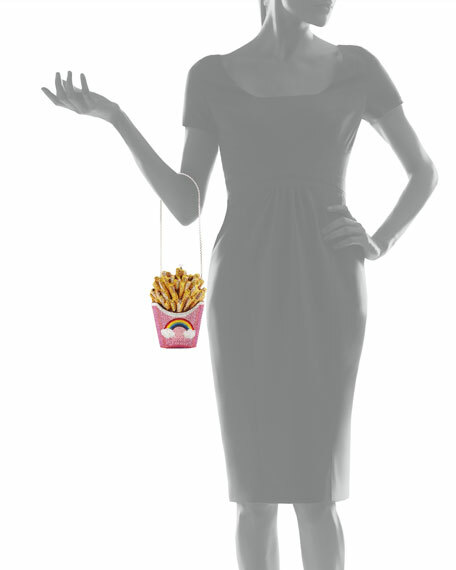 Removable chain shoulder strap, 24"L.
6.8"H x 5"W x 2"D.